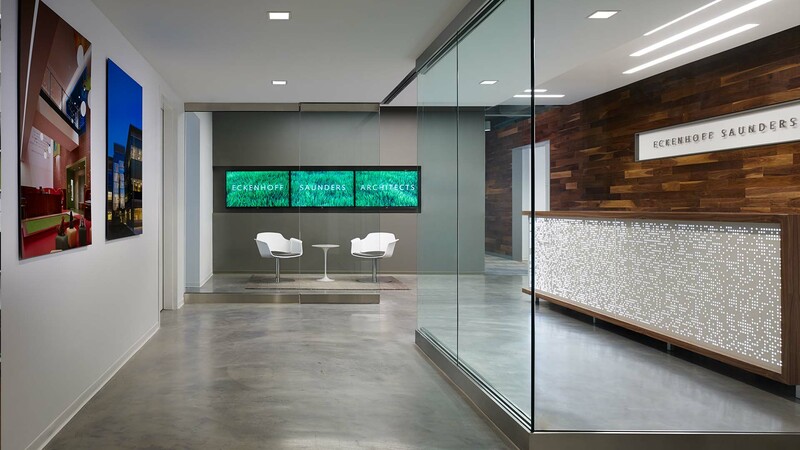 Eckenhoff Saunders Architects (“ESA”) is a Chicago-based, midsize firm specializing in architecture, planning and interior design. 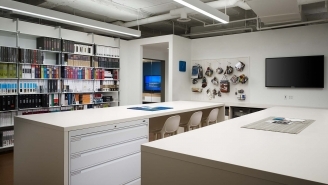 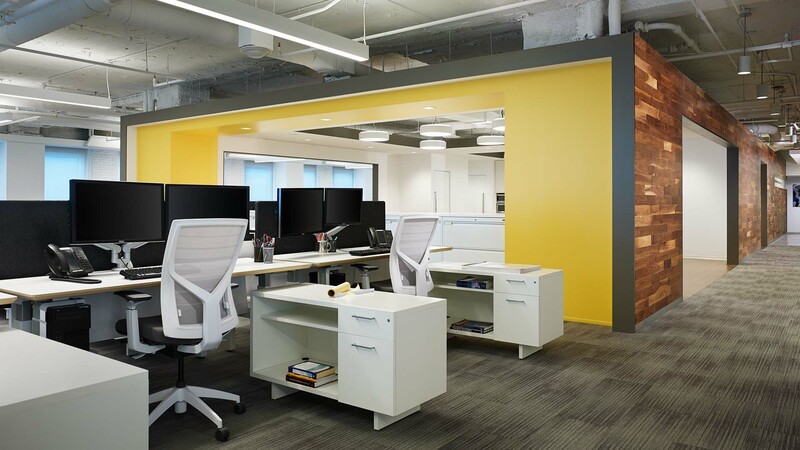 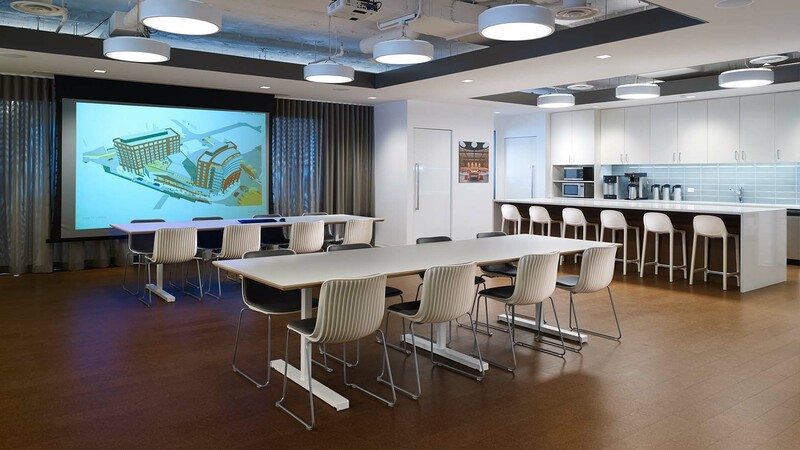 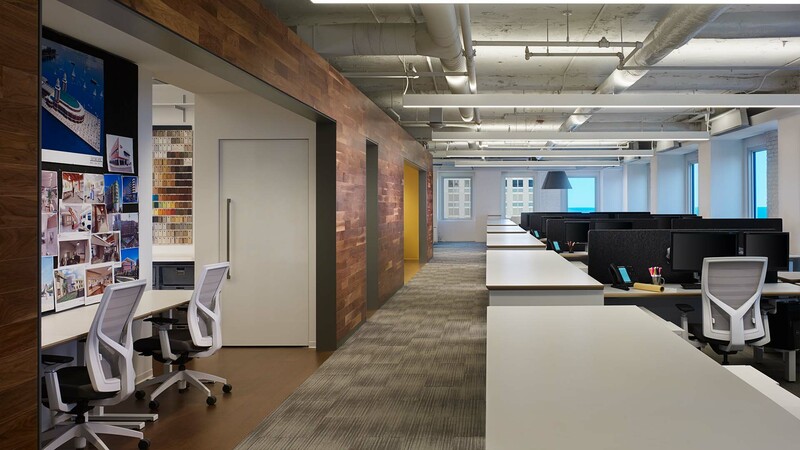 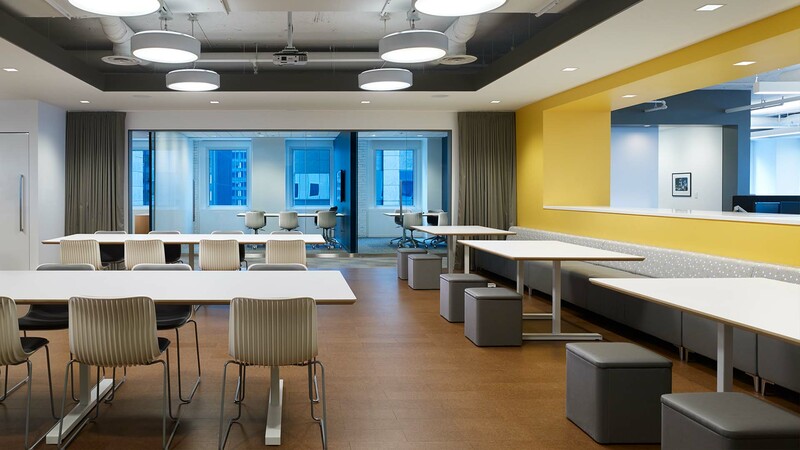 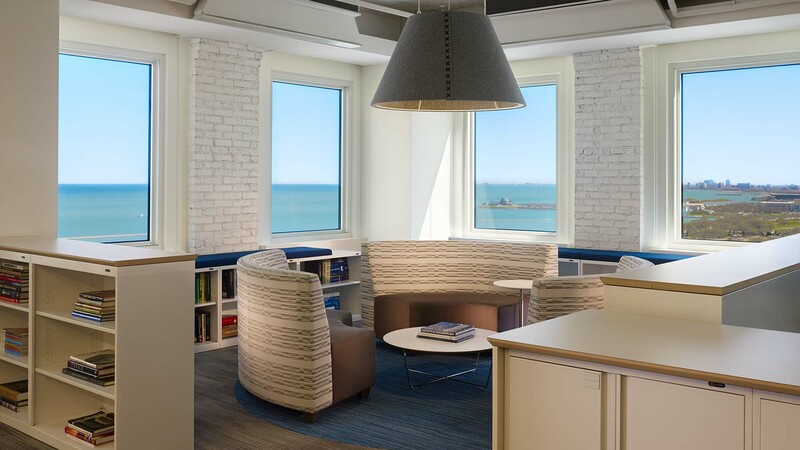 Following a relocation from the West Loop to a new space within One Prudential Plaza in 2015, Reed was selected by project management firm JLL to complete interior renovations to ESA’s new space. 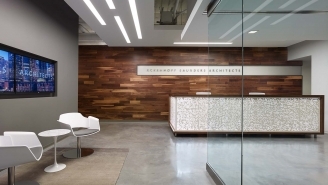 The project featured custom, fabricated millwork throughout, open loft ceilings with high-end LED light fixtures, and walls clad in walnut wood flooring. 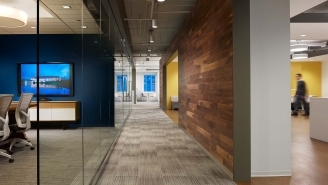 Reed also simultaneously renovated the 18th floor corridor and elevator lobby space adjacent to ESA’s new suite.